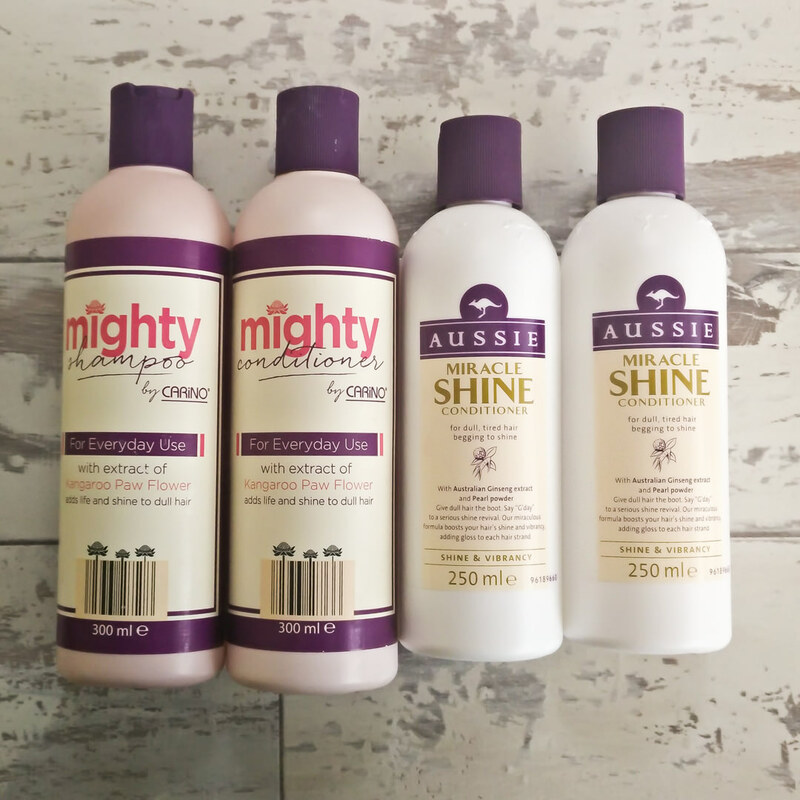 Aldi have recently sent me a few of their shampoos and conditioners to try out that have a rather striking resemblance to the Aussie range. 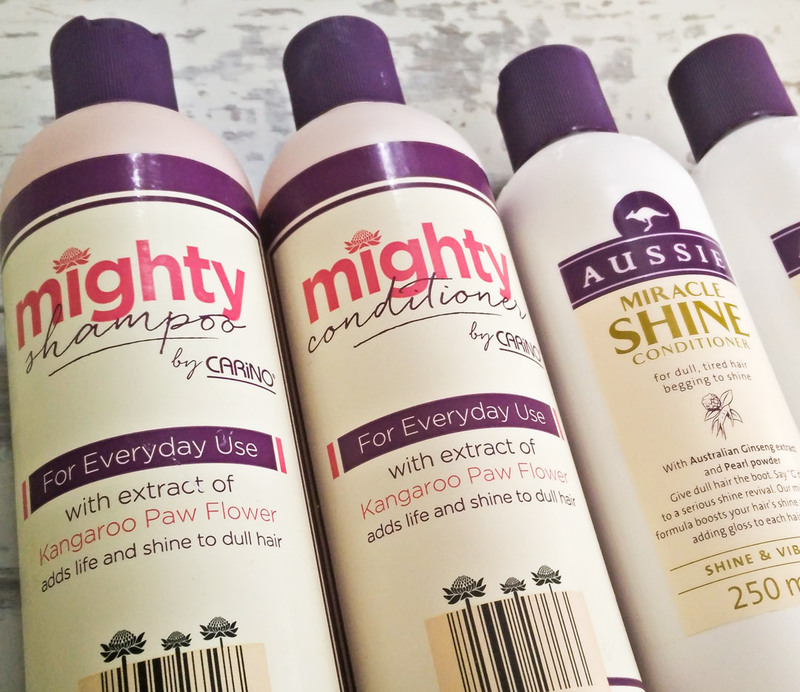 I have been a big fan of the Aussie range in the past and used to use it quite a lot although it can be a little pricey. I wanted to see if the Aldi product matched up in any way as a good dupe or was a cheap let down. 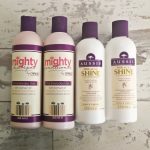 I have used the Aldi products for quite a while, having used up two of the four bottles completely, so that I could get a proper, rounded conclusion on the items. In all honesty I have been really loving the Aldi alternatives. They have the same consistency and great bubblegum scent as the Aussie range and have left my hair feeling so soft. My hair tends to get quite greasy quickly (teenage issue with greasy hair and blemishes seem to have hit me hard in my twenties :/ ) and these shampoos and conditioners have helped with me not having to wash my hair daily whilst not drying it out. I don’t like to think of myself as a brand snob and generally I am very open to trying new products, finding bargains and not judging based on the price tag but I must admit I would probably have walked past these and never picked them up if I had seen them in the shop. 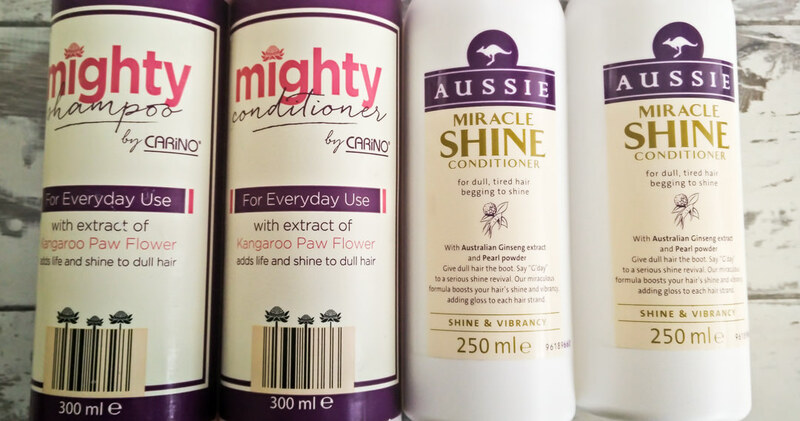 Having them sent as a blogger sample made me realise I probably am a little snooty when it comes to my shampoos and conditioners and that I should branch out a bit more and try new things. In terms of price Aussie is around £4.19 in Boots with 3 for 2 offers making each bottle roughly 2.80 if you want to buy 3. In Aldi this range is £1.99. This isn’t a huge difference and I am sure that many of you who love Aussie will stick with what you know for the price difference but for any of you living on a budget, tightening the purse strings or a lover of a good dupe this range is worth a test.